Most of the time I am only competing with myself. In this case, I used all of the remaining energy I had to pass the guy right behind me. In response to whatever he said that annoyed me, I activated my fast twitch fibers and showed him. There is always a new challenge waiting around the corner. I know most people would assume that you just go out and run and there isn’t much more to it. Well, those people are obviously not runners. Do you remember when you took that first step after you decided to find out what running was all about? It was an accomplishment to run one mile without walking. Then you moved on up to the ranks of the 3-mile runners. And hey, if you could make it 3 miles, then why not sign up for your first 5K? It becomes almost addictive once you have been at it for a while. At first glance, it might seem like these runners posses more Type-A personality traits, but just because you might not be hard-core competitive doesn’t mean you won’t enjoy the new challenges that running brings. I encounter many runners who are in it for the fun and social aspect. They team up with a buddy or a group and find new routes to tackle or new races to finish. Running is a sport that is well suited for all personality types. The challenge might be to find a race that offers the most swag or maybe a race that is in a desired destination. Whatever keeps you running, right? Why not keep running fun by finding races that allow you to do a bit of wine tasting at the finish line or have zombies chasing you down the street? Sure, these challenges don’t suit everyone’s desires, but those runners who love the entertainment are definitely not bored. I know I don’t fall in that category because I am pretty certain I have some Type-A personality traits in my blood. I enjoy a bit of competition and it is usually with myself (or the woman in my age group who I am trying to catch up to and pass). My first few races were all about the fun and socializing, but then I started to challenge myself with new personal records. I ran my fastest 5K, 8K, 15K and half marathon. I could always run faster if I trained hard enough. Yet, before I got bored with the fast goals, I decided to focus on more variety. I started participating in triathlons. My love of running only blossomed as I realized that I could swim a mile, ride my bike 56 miles and still finish a half marathon (not in record time, but pretty darn close). Then it was back to a focus on running. I had my eye on achieving my fastest marathon. I stayed the course and was able to move beyond my goal and achieve a time that I never thought possible. And why not run another marathon 3 weeks later… this one with a 2,000 foot climb. It was that marathon that brought me to where I am now: enjoying nature and all of its beauty. Might as well throw in the challenge of running up endless hills to the tops of peaks. I thought about the trails in my own backyard. I’m here, in Colorado, so why not take advantage of what nature has to offer? My next challenge does have something to do with speed. A much slower speed up and down hills, over rocks, through forests, in snow and over ice. Yet, slow would not be a new and exciting challenge all by itself. It needs to be combined with distance. So, my next goal is to run an ultramarathon… 50 miles to be exact. At this rate, I don’t think I will ever get bored with running. There are so many new routes to try, new races to travel to, new distances to explore, faster speeds to tackle and many more new running buddies to acquire along the way. 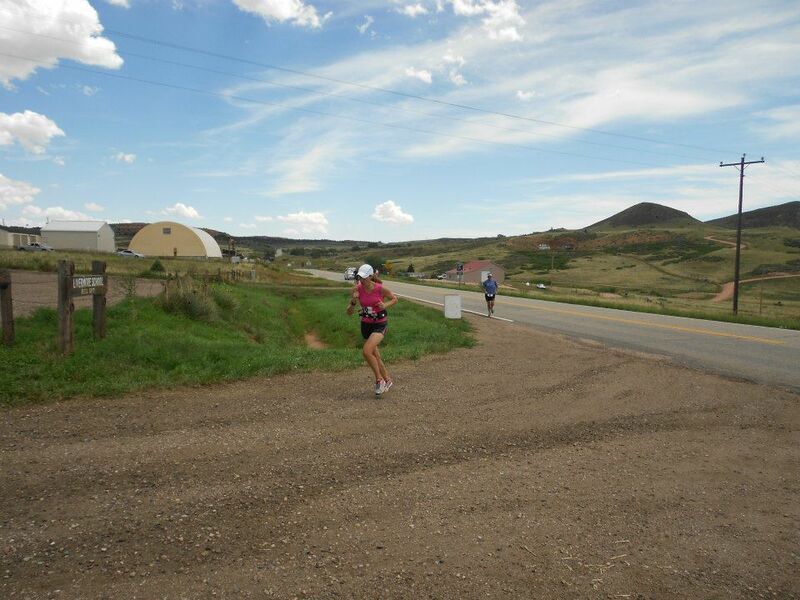 This entry was posted in Running Experiences and tagged bored, challenges, Colorado, goals, improve running speed, personal records, running, running is never boring, running longer distances, trail running, ultramarathons.